As motor sport is the key component of the project, it has been overseen since the beginning by the world governing bodies, the FIA and the FIM. 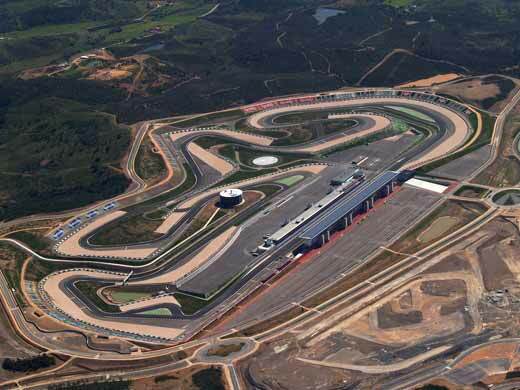 The plans for the Autódromo Internacional do Algarve were approved by the FIA for Formula 1 and by the FIM for SuperBikes. As a matter of interest, the F1 version is different from the motorcycling circuit, a good indication of how detailed the project is and the extent to which the sense of spectacle will be maximised in races for both types of vehicle. The total capacity of the circuit will be 100,000 spectators, with 15,000 seats in the main stand and the remaining seats in other stands, and standing room in areas around the track. There will be a spectacular view of the circuit from all of these vantage points. There will also be VIP boxes providing a range of services such as catering, above the pits and in the main stand. The VIP Tower is the project trademark. It is planned that major races in the world motor racing and motorcycling championships will be held at the circuit, with the World Superbike Championship and the World Endurance Championship being firm fixtures. These races are broadcast worldwide on more than 80 television channels reaching more than 2 billion viewers, thus ensuring unparalleled publicity for the Algarve and for Portugal. Events in the National Motor Racing and Motorcycling championships will also take place at the Algarve International Race Circuit.